I arrived at in New York on a redeye flight on Monday morning, March 11th. I promptly went in search of coffee, which while a cup was successfully found, it wasn’t Seattle coffee by any stretch of the imagination! Nevertheless, the caffeine and excitement started to kick in while I waited for the sun to rise. I ventured into NYC via the transit system and was able to find my way to the Armenian Center, were WOOMBs first event was to take place later that morning. Before I came to New York I prepared and rehearsed my elevator speech to talk with people about how WOOMB International empowers women with natural fertility management. The team told me that in the past, when they would say they what they represented that people would just turn around and walk away from them. It was my goal to tell the truth in a language that would connect with my audience. When I entered the Armenian Center that morning, things were very quiet. I didn’t immediately see any team mates, but I started talking with a women named Francis from Nigeria. After hearing her talk about her NGO and the need for health education for women in Nigeria, I pulled out my prepared line. I continued to say how WOOMB could help with the initiatives she spoke to me about. She was so excited about it that she invited me to come speak at their event the following morning! I was shocked, but happily accepted. 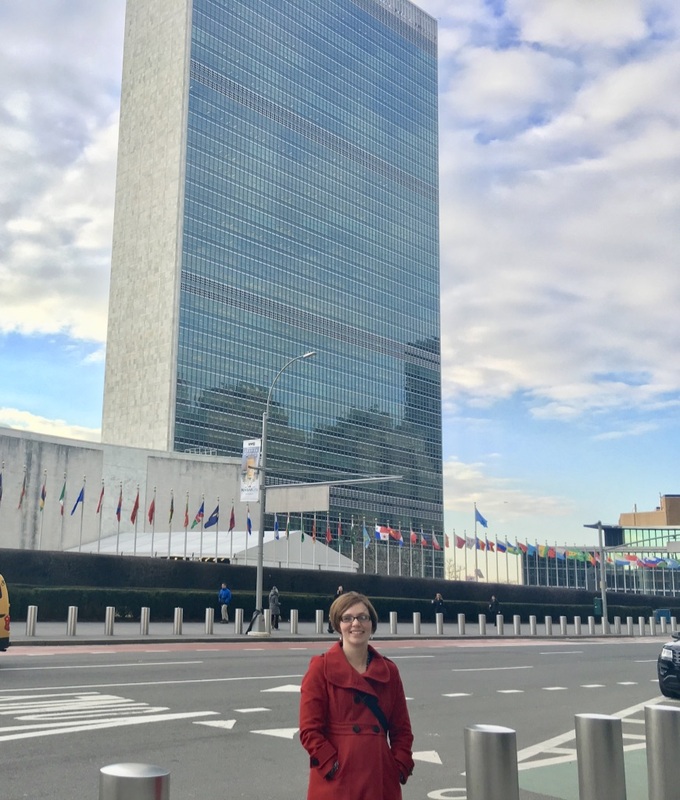 My first interaction at the United Nations had landed me a speaking gig, which was quite the encouragement for this little introvert to continue to be bold and network throughout the week! I was energized as the morning went on and I met up with the WOOMB team and the panelists that were coming to speak at our first event. The room filled with 20-30 young men and women who listened intently to our speakers skillfully explaining their area of expertise. Many good questions at the end of the presentation spoke to a good level of understanding and interest from the audience. We found out after the event that many in attendance were with the group “Universal Fiat” accompanied by some Sisters from Nashville. It was delightful to see a few habits running around the UN spreading joy. I attended a few other events that day, passing out postcards and using my one-liner to start up conversations about what WOOMB is. 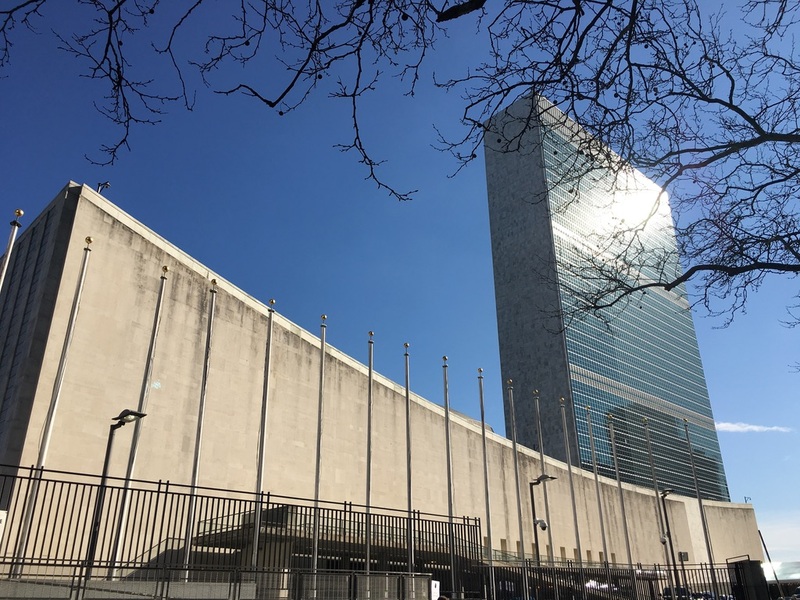 As I waited in line to get my UN grounds pass, I struck up a conversation with a young law student who was from Seattle. He was fascinated by the idea of natural birth control and very inquisitive. Conversation meandered from NFP to relationship and marriage advice as the line crawled through the building. Everyone around us was relatively quiet, so I am certain that many more people got an earful that morning! 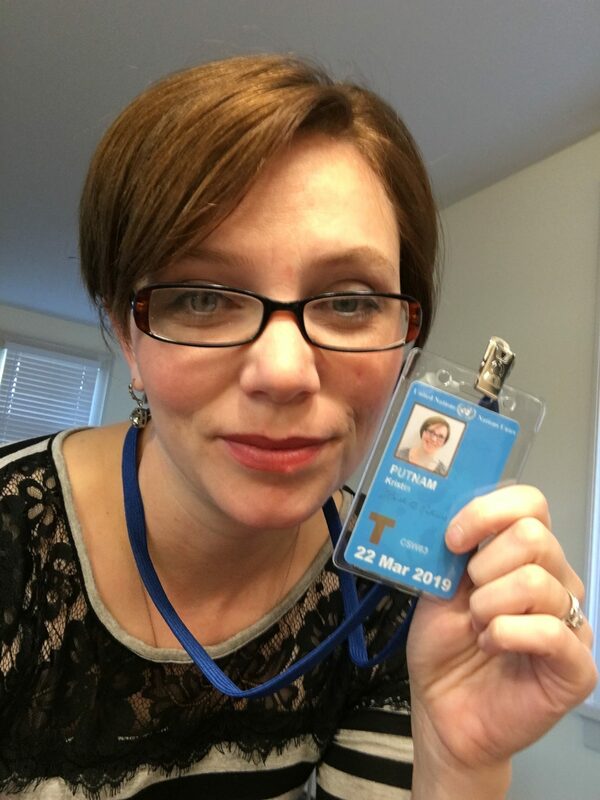 Once armed with my pass, I was able to go into the United Nations building. It felt very official to scan my pass and get to go places that tourists were not able to go.But it was also humbling because there were plenty of places that delegates could go that my badge couldn’t get me into. I attended a couple of events that afternoon before heading back with my teammates to a house in the Bronx where we were staying for the week. That night I stayed up late trying to prepare for my talk the following morning. I had little idea what the Nigerian event was actually going to focus on, so I decided to gather lots of statistics and points that could be used in a talk, but were in no particular order. This was not the way I was used to preparing for a speech! But my plan was to listen to the other panelists and put together a talk on the fly from my gathered points that could speak to their topics of discussion. When I felt that I had enough talking points gathered, I finally settled into bed. My jet-lagged body had little trouble surrendering to sleep. Little did I know of the phenomenal day that lie ahead.